Although L. Miriam Dickinson started her professional journey by earning a Bachelor of Arts in music and German with a minor in math at the Newcomb College Institute of Tulane University in 1974, she didn’t have a set goal in mind. She decided to take a position as a research technologist at the University of Arkansas for Medical Sciences in 1975, and became very interested in the job. At the time, there weren’t a lot of women in the mathematical sciences, but Dr. Dickinson was determined to succeed. She obtained a Master of Science in biometry from her employer in 1979, and was promoted to research assistant in the division of biometry that same year. She transferred to the Fuqua School of Business at Duke University as a research assistant in marketing research in 1982, and then to the Department of Family Practice at the University of South Alabama as a statistical consultant in 1983. Over the years, Dr. Dickinson continued to advance, moving between roles like instructor of statistics in the Department of Mathematics and Statistics and assistant professor in the Department of Family Practice at the University of South Alabama, assistant professor and associate in the Department of Family Medicine at the University of Colorado Denver, and adjunct assistant and associate professor at the University of Colorado Denver Graduate School. Today, she serves the institution as a professor in the Department of Biostatistics and Informatics, a professor in the children’s outcomes research program through the Department of Family Medicine’s Colorado Health Outcomes Program, and core faculty for the Primary Care Research Fellowship. She also maintains positions as a senior scientist and statistical consultant for the Physicians National Research Network through the American Academy of Family, and a member of the Society for Teachers of Family Medicine, the American Statistical Association, and the North American Primary Care Research Group. Dr. Dickinson has experienced a number of triumphs during her career. She has conducted trials in diabetes, immunization, cardiovascular disease, and kidney disease, and used the knowledge to contribute 160 articles to professional journals. She has been a statistical editor for the Journal of the Board of Family Medicine since 2008, was selected for the NIMH Mentoring and Education Fellowship at Yale University from 2000 to 2002, and earned a PhD in biostatistics from Tulane University in 1996. Another notable achievement was serving as the co-chair of the Research Methodology Group for the Committee on the Advancement of the Science of Family Medicine. Dr. Dickinson served along with Jillian Bartlett from Canada to really push things along in the field of primary care research for the multinational organization; the idea was to acquire state of the art methodology to nurture young investigators, which set the standard. They are credited as the first ones to get it started. 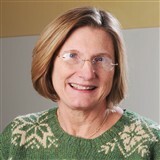 In light of her achievements, Dr. Dickinson was recognized as the Department of Family Medicine Beast Researcher in 2012 and received the Society of Teachers of Family Medicine Best Research Paper Honorable Mention for “Barriers to Initiating Depression Treatment in Primary Care Practice” in 2003. Further, she holds an American Primary Care Research Group Distinguished Paper Award for “Posttraumatic Stress and Somatization in Primary Care Patients,” a Scholarship for Pursuit of a Doctoral Degree from Tulane University, and mention in Who’s Who in American Universities and Colleges. She attributes her success to hard work and wonderful mentors. Moving forward, Dr. Dickinson intends to continue to work with pragmatic trials and cluster randomized trials. Her advice to the younger generations would be to have persistence; academic and medical research comes with a lot of constructive criticism and requires continuous grant submissions and papers, as well as creativity and out-of-the-box solutions. She hopes to be remembered for setting a good example, being innovative, and maintaining her standards of excellence. When Dr. Dickinson isn’t working, she enjoys outdoor activities like camping, hiking, and skiing, as well as playing the viola. She has been playing the instrument for the Jefferson Symphony Orchestra since 2009.